Premium quality, affordably priced air conditioning solutions that residents in Southport & Labrador love. That’s what we’re about. At Think Cooling, we’re known for our friendly, personalised service as well as our quality of work. We have a team of fully qualified and certified Gold Coast air conditioning technicians servicing all suburbs, including Southport and Labrador. No matter if you need a new air conditioner installed for your residential or commercial property, we’re here to help. Why Choose Think Cooling for Labrador & Southport Air Conditioning? Southport and Labrador are among the two biggest suburbs in the Gold Coast. Between them, over 50,000 residents are housed and they boast the Gold Coast’s largest area of office space as well. Given the humid, wet summers we experience and warm winters, air conditioning is a must for most of these residents and office spaces. If your house is on the coastal side, you may have the option for energy efficient home design that makes the most out of natural sea breezes. However, most Southport and Labrador residents tend to suffer in the heat if they don’t have air con installed. Our team can help you enjoy comfortable summers for the rest of your days here on the coast. Given the increasing population size in Southport and Labrador, we’re seeing more developments of apartments and sky rises. Generally, multi-split systems are used to control individual room temperature though requiring limited outdoor space. If you’re looking for a system that offers greater versatility, ducted is the way to go, especially if you look into MyAir’s smart home cooling technology. Use a ducted air con system to cool multiple rooms at the same time. Ducted air conditioning allows air to move through your home freely and can give you total control right at your fingertips. Ducted air conditioning systems can be installed in both new and existing buildings. Chat with our experts if you’re thinking about ducted air con for your existing home or office. The units you see mounted onto a wall are known as split systems. They have an extraction unit on the outside of the building. These systems are great for cooling down individual rooms. They are cost effective and energy efficient for small offices, apartments or small open plan buildings. Multi-split air conditioning systems are great for buildings with limited outdoor space, like apartments or small office buildings. They use similar technology to single split systems though take up less outdoor space. 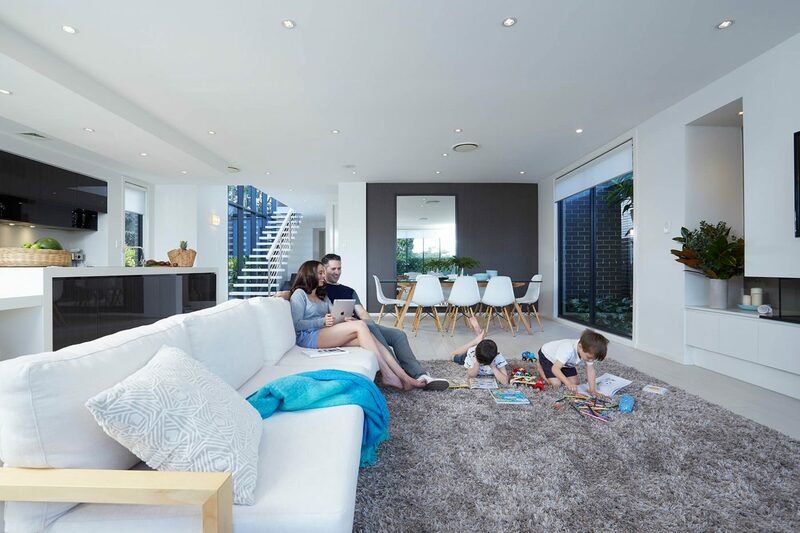 Advantage Air is pushing the boundaries of air conditioner technology in Australia. The new technology allows for an integrated and flexible experience Southport home and business owners are falling in love with. Smart temperature control technology allows you to control your ducted air conditioning from an app on your smartphone or on a connected panel. You can turn your AC on or off from afar with just the click of one button. For all your AC Needs, contact Think Cooling today! We service all brands and are authorised dealers for both Daikin and Mitsubishi Electric. So for all your Air Conditioning Southport needs, give us a try!